Dowry is one of the common patriarchal evils that still exists in some parts of the world. The world statistics shows it prevails in India, Pakistan, Bangladesh, Nepal, Sri Lanka, Afghanistan, Iran, Turkey, Azerbaijan, Congo, Egypt and Morocco. The dowry practice also leads to murders, bride burning, and driven suicides in many cases because the husband and in-laws harass the girl to bring more cash/property/furniture/gold/vehicle from her parents even if the husband and his family are financially sound enough. In India, since ancient era dowry was basically given by the girl’s parents in order to start a new family. Once she was married she wasn’t given any further financial assistance as she was gifted with enough of gold, jewellery’s, clothes, property, utensils, furniture, etc. at the time of marriage only. The share of this dowry was one-fourth of the total property her father had, and rest were given to son(s). Whatever was given to her was also given in order to have plenty of financial stability even after she reproduced children, or in case was widowed. The practice was common among upper class societies such as Hindu Brahmins and Kshatriyas. 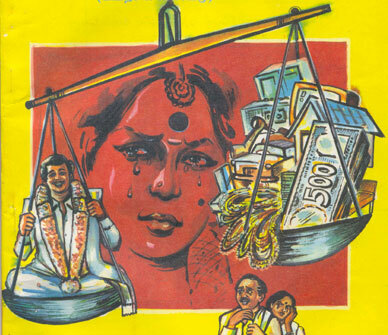 Dowry became an evil practice since when the British Raj came into existence because many communities had to pay taxes to the Britishers for the lands, and the only solution to fulfill the debt was to ask money directly from the bride-to-be’s family. Then was the time when the dowry wasn’t given to the bride, but to her husband and in-laws in which whatever she got was divided and used by other family members, instead of her. If the groom had an unmarried sister the dowry was transferred to the in-laws of the sister at the time of her marriage. The practice was and is still so common that if the groom’s family doesn’t get the satisfaction of whatever they demand, the marriage is either postponed or canceled right on the marriage day. 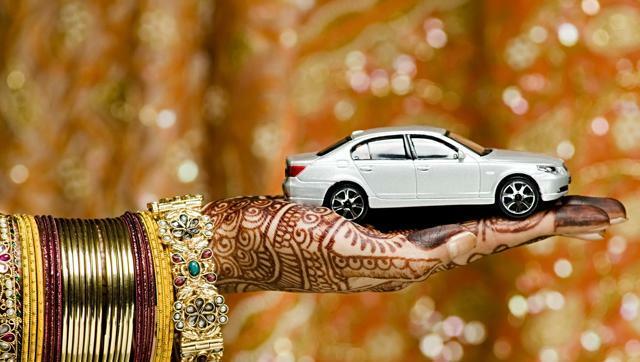 Dowry still exists in India and other Indian subcontinents that doesn’t seem to stop. There are many cases in which the newly wed brides or even those women who are living with their husband’s family even after having children for so many years are physically and/or mentally tortured for bringing more. This sometimes leads to suicides. Since 1961, the Indian Penal Code has put this into punishable offense but the cases have always grown since then. As for the ratio according to the reports suggest that around 1.4 deaths occur per 100,000 women in India itself, that includes either suicides or murders. In Pakistan, this number exceeds to 2.45 deaths per 100,000 women. Reports also suggest that the total number of dowry deaths are significantly higher than what the statistics shows. India has a growing economy with time but such social events do not appear to submerge. This will lead to devastating condition and there might come a point when the country remains a developing third world nation. Now the question arises will it stop ever? Even if it does, how will it stop and what changes must be made mandatory by the law so as to contribute in the society’s upbringing, and hence a better country to live in? First of all dowry is a social evil for those who are leading a poor life and those who belong to lower middle class section. The parents are unable to bear the finances at the time of their daughter’s marriage because the demands of the other party doesn’t seem to stop. They have the fear of what if the groom’s parents cancel the marriage just a few days before or on the same marriage day after so many arrangements done and money consumed! It is a common mindset that the groom is going to marry somewhere else but their inability to bring whatever is demanded will result to have a negative impact on their social status and no other marriage proposal for their daughter they would be getting since then. The result? Their daughter would never get married, which is frustrating for them, and is indeed impractical and epic. Those who are of higher class societies have a tendency of showing off the dowry to the world to maintain their supremacy among fellow members that they are so rich and powerful. In the southern part of India, the bride is given lots of gold jewellery’s on the occasion of her own marriage which she proudly wears. The more of gold she wears, the more social status she receives in return. The parents follow this custom either by taking loans or asking from somebody else as a debt, if they are not that much financially capable to provide their daughter the gold she deserves. Those who can afford providing plenty of dowry that includes gold as well as property and bank balance, flaunt with pride among others. This is indeed creating social imbalance in the community. Everyone is into some kind of competition that who is going to provide the highest amount of gold and other stuffs. Everyone wants to maintain their supremacy but there must be a set limit in every household so that the bride’s family doesn’t have to bear the debt. Let the dowry be a gift and not a means to pomp-and-show. Parents must unite together to either never marry their daughter away or if they do they must not be asked or demanded for anything specific. This is an evil practice and people must come forward to support each other since we make the society. It is practically possible to stop the issue in the coming years if individuals start showing the unity and stand with each other. It is illegal to seek the dowry in India but there is no point if the citizens themselves don’t follow the rules.